Food stations, be they dessert tables or snack buffets, have really taken off in wedding catering over the past few years and it’s easy to see why! Your wedding day will probably stretch on for 12 to 16 hours and you don’t want to hear stomachs rumbling during the speeches! Enter wedding food stations, a delicious trend that’s infinitely customisable – you can go fancy with sushi or oysters, or hark back to a simpler time with some nostalgic treats from your childhood. 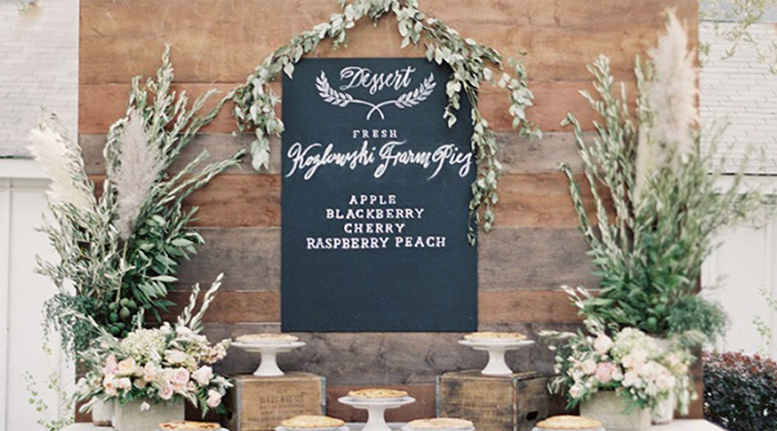 In this post, we wanted to get you started with a few of our all-time favourite wedding food station ideas!